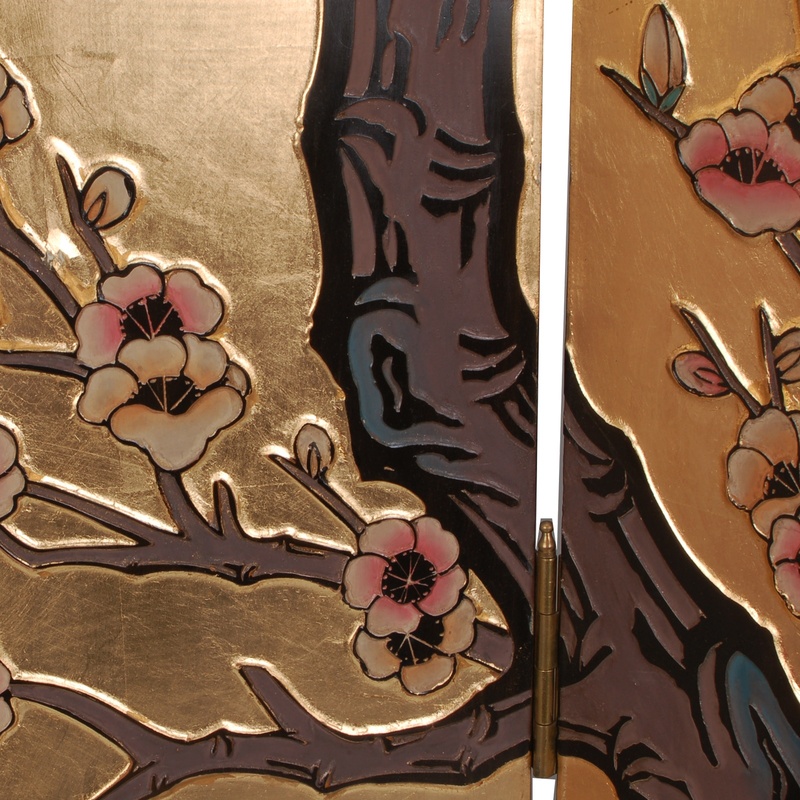 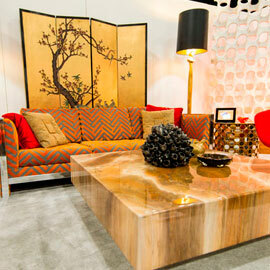 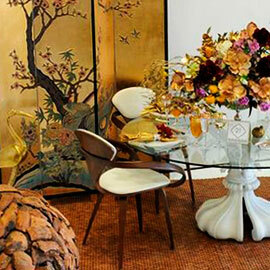 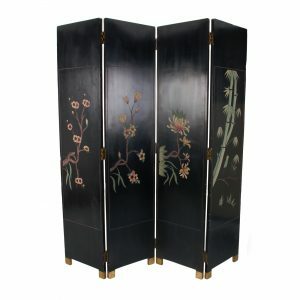 Tags: Hollywood Regency, room dividers, modern, Gold, gilded, screen, Asian, accessory, Black, Chinesse, floral. 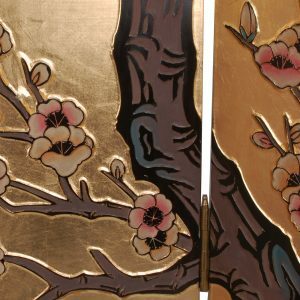 The Xian Folding Screen is a lovely decor piece. 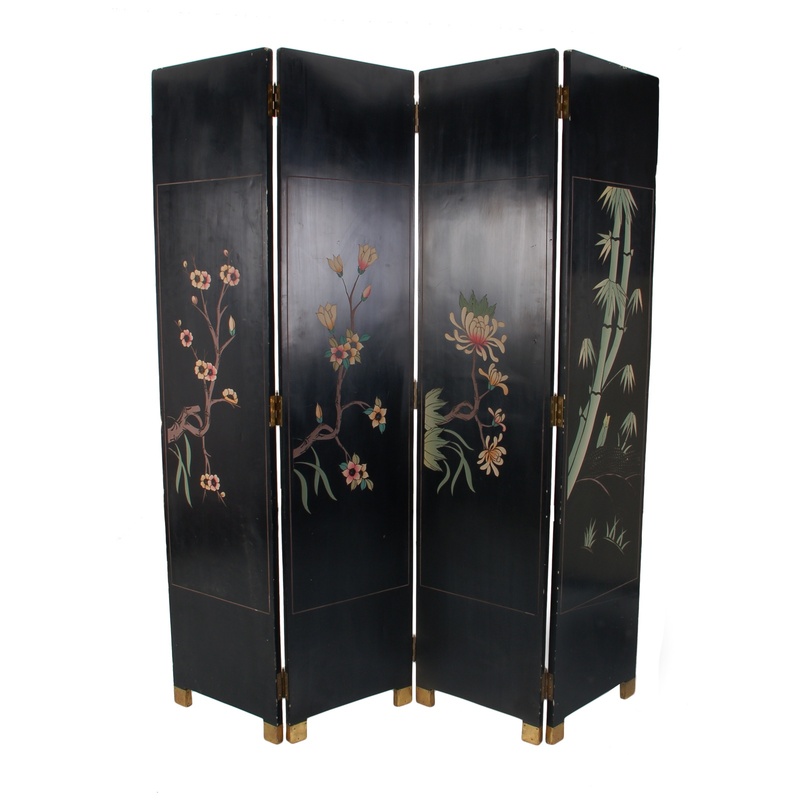 Gold gilded and black lacquer four panel folding screen with brass hinges and feet. 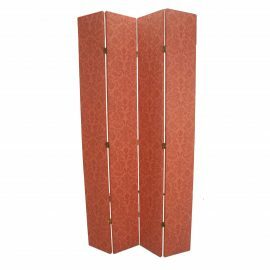 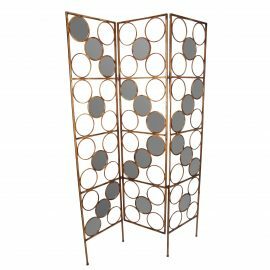 The Xian Folding Screen can be used as an screen, room divider, partition, or centerpiece with its distinct pattern. 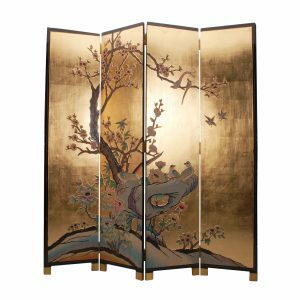 With a collection of stylish and chic accessories (screens, room dividers, topiary, faux plants, planters, hedge planters, mirrors, paintings,vases, balls, bowls, decanters, décor, statues, ashtrays, candy dishes, candles, bottles, globes, podiums, trash cans, ice buckets, short piles, rugs, area rugs, artwork, floor mirrors, reliefs, pillows, throws and pelts), FormDecor Furniture Rentals inventory is available for event furniture rentals including, but not limited to tradeshows, weddings, special events, corporate event, film and television, as well as social events. 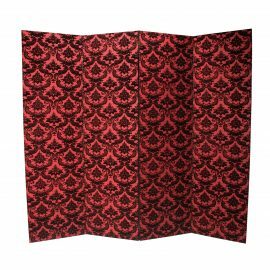 Rent the Xian Folding Screen for your next event. 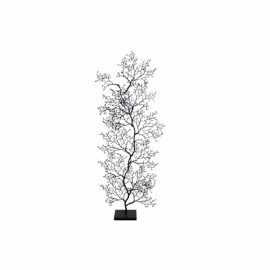 We deliver throughout Los Angeles and all of southern California and ship nationwide through preferred freight carriers.